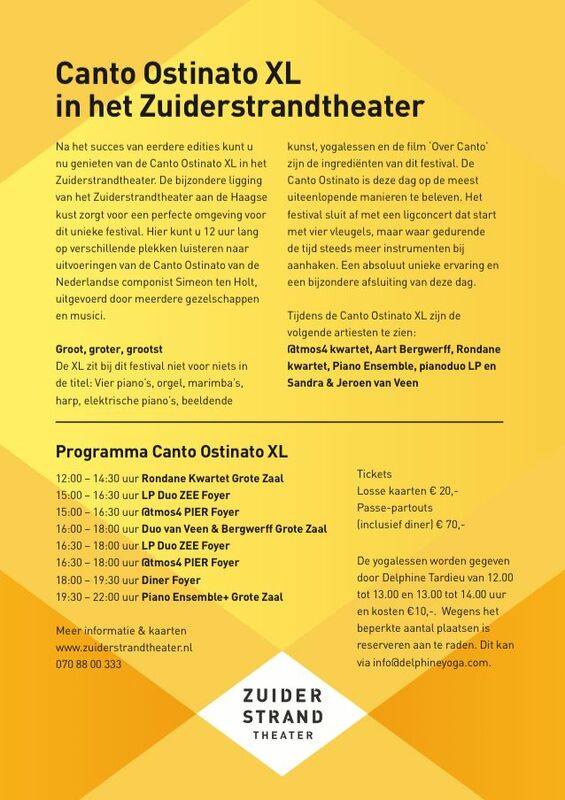 The Embassy of the Republic of Serbia would like to inform you about the “Canto Ostinato XL Music Festival”, which is going to be held on 13th of June in the Zuiderstrandtheater in the Hague. We are proud to announce that duet “LP duo” from Serbia will also take part in this event from 15:00-16:30 in Zee Foyer and from 19.30-22.00 in “Piano Ensemble+” in Grote Zaal. For more than a decade, “LP Duo” has experimented with the endless possibilities of performing on two pianos, while developing a new approach to contemporary classical music that combines classical elegance, jazz freedom, and rock ‘n’ roll power. Pianists Sonja Loncar and Andrija Pavlovic have performed more than 200 concerts in Europe and the United States, have won prizes at international competitions, and were listed as one of the top ten piano duos at Miami’s Dranoff International Two Piano Competition in 2008.